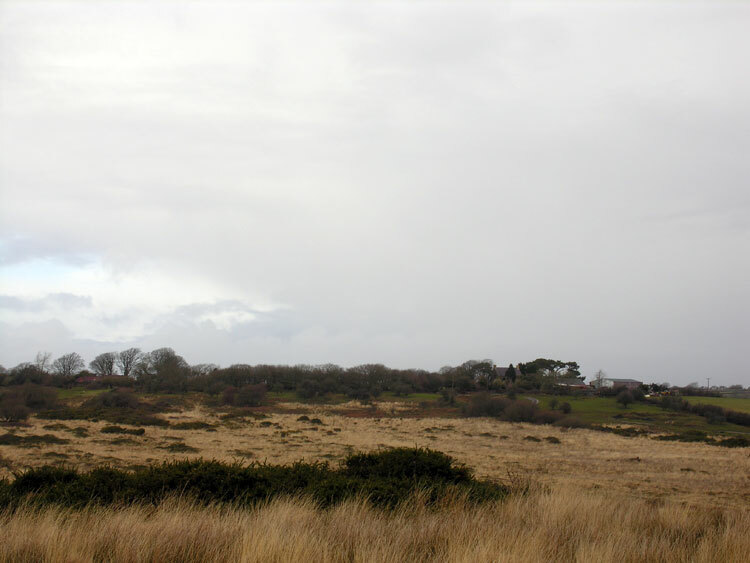 The historic landscape area of Pengwern Common equates to the extent of unenclosed common land known as Pengwern Common, essentially a continuation of Fairwood common westwards. During early post-medieval period Pengwern Common and the adjacent Welsh Moors/Forest Common had been encroached upon from the direction of Cillibion and Llethrid farms, to form the current western boundary, while similar processes seem to have been in progress during the seventeenth century along the northern and eastern boundaries of the common, with the present boundaries of this area in place by the eighteenth century. To the south the common largely bounds the thirteenth century pale of Parc-le-Breos Park, apart from minor encroachments between Llethrid bridge and Pengwern, and at Newclose, which were in place by 1801. Little is known about the archaeology of the area, though features include a mound (00895w) and enclosure (300305) of indeterminate age located towards the southern edge of the common. Other potential features have been noted from a rapid survey of aerial photographic material and indicate that enclosures/settlement features (possibly prehistoric or medieval) may survive in a relict state; however, this would need to be examined through field survey. A silver half groat (03221w) and groat (03220w) of Henry VI dating from the fifteenth century are the only recorded datable finds from this area. The area has been used for grazing since at least the medieval period.